The New York Yankees have their Opening Day starter for the 2018 season and it is not Masahiro Tanaka. No, it is the young right-hander that doesn't want to be the ace of the staff, Luis Severino. This morning Yankees manager Aaron Boone took any doubt out of the equation of who the Yankees ace will be heading into the 2018 season when he named Severino the Opening Day starter. Just a few hours after the announcement Masahiro Tanaka did himself no favors having another lackluster spring outing in a 9-3 exhibition loss to the Detroit Tigers. Tanaka gave up four runs in 2.2 innings pitched today which cemented the idea in many eyes that Severino should start Game One of the 2018 campaign. Severino will make his first career Opening Day start on March 29 against the Toronto Blue Jays inside the Rogers Centre, the first of a four game series. Tanaka will pitch Game Two followed by CC Sabathia and Sonny Gray in that order. Jordan Montgomery, the Yankees fifth starter, will start the April 2nd home opener in the Bronx against the Tampa Bay Rays. 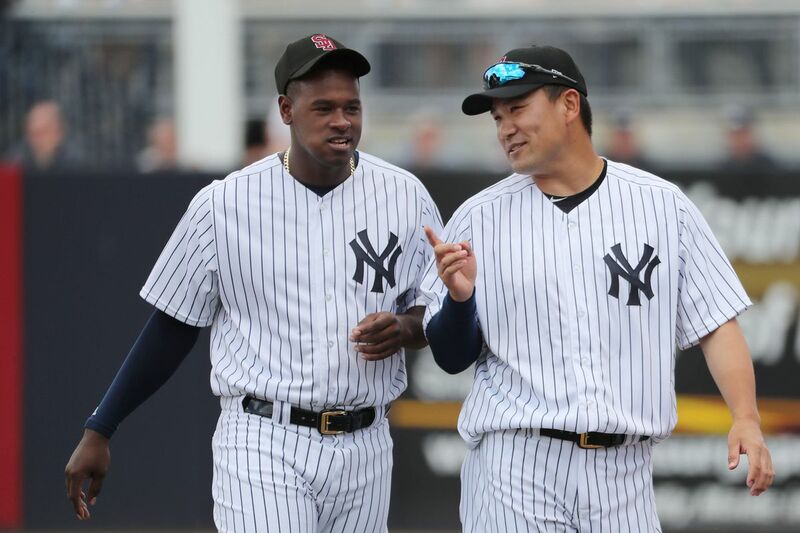 No one should be surprised that Severino and not Tanaka was named to the Opening Day start after Tanaka pitched to a 4.74 ERA in 2017, although the right-hander did have a strong October, which was followed by a 11.25 ERA this spring including his start today. Congratulations to Severino on the Opening Day nod, and it is now time for the other four starters to begin preparing for the season. Now they know when they will start and the real work starts now. World Series or bust.